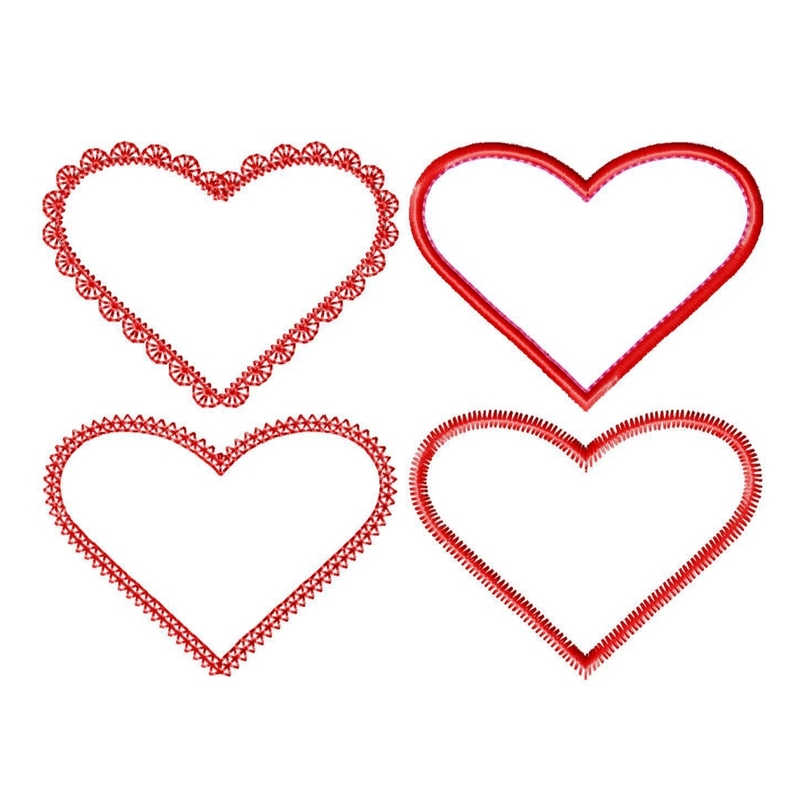 There are so many fun ways you can use these gorgeous heart shapes. 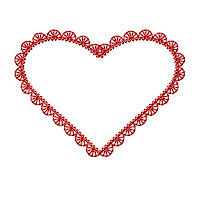 Great for every day projects and perfect for your Valentine's projects too. They look cute on t-shirts and skirts and even cuter on a baby's bib or onesie! 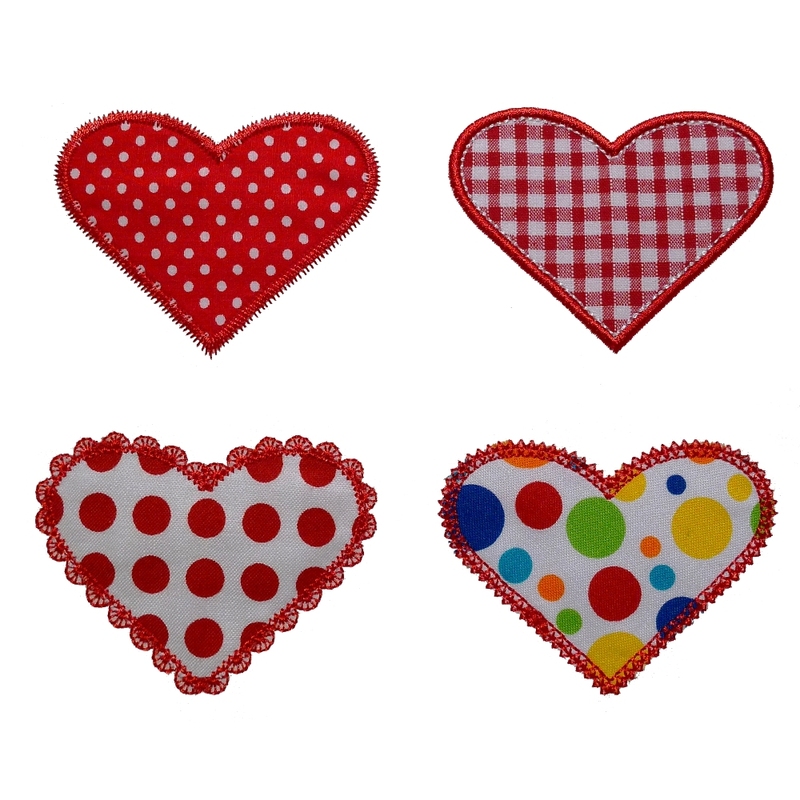 This appliqué range of 16 files is a delight to sew out and offers you 4 different edge stitch variations: Lace, Double-Diamond, Zigzag and Satin Stitch. 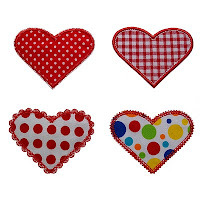 The Satin Stitch Heart design features my signature Triple Bean contrast stitching to give you greater freedom to coordinate your thread and fabric colors. If you don't want contrast stitching, simply continue with the same thread color or omit this step entirely. 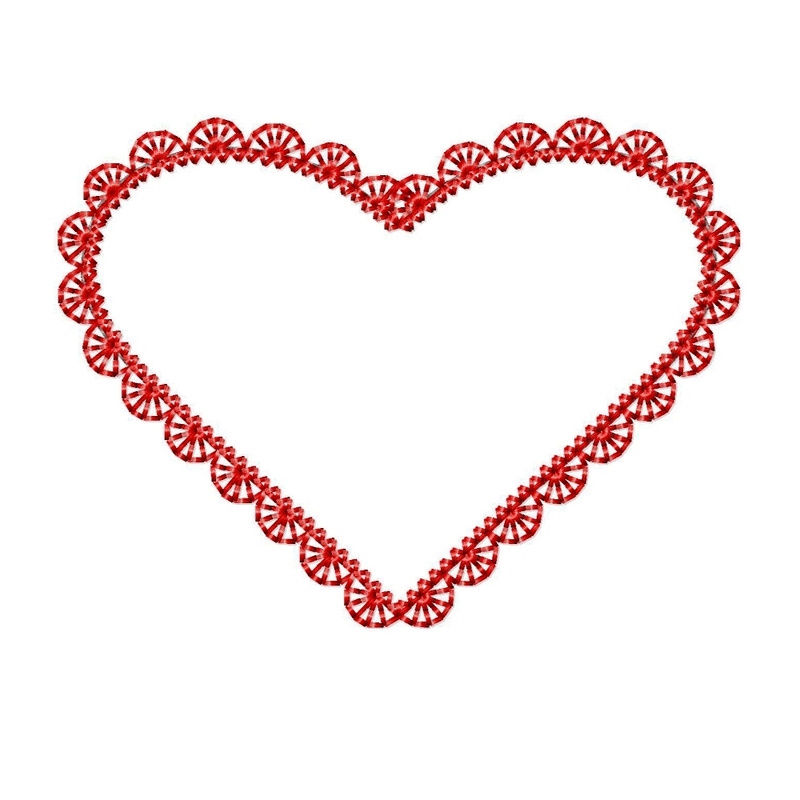 Use the alphabets and numbers in your embroidery machine to personalize these designs further. 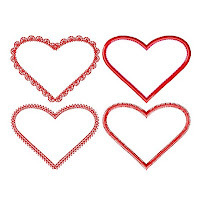 4 sizes - 2", 3", 4" and 5"
4x4 hoop - exact sizes 2" x 1.55", 3" x 2.29" and 3.92" x 2.97"
5x7 hoop - exact size 5" x 3.77"